This year’s CIRD Workshop in Las Vegas, New Mexico, hosted by the Hermit’s Peak Watershed Alliance (HPWA) – a Las Vegas-based environmental non-profit with more than ten years of experience in watershed restoration projects – brought a new focus to active listening and drew upon the community's knowledge to drive the design and planning of the town’s future river park. By empowering independent voices, members of the town worked toward a foundation of communal trust and common purpose: what emerged was a shared love and value for the river. A view over the Gallinas River from the overpass on I-85. 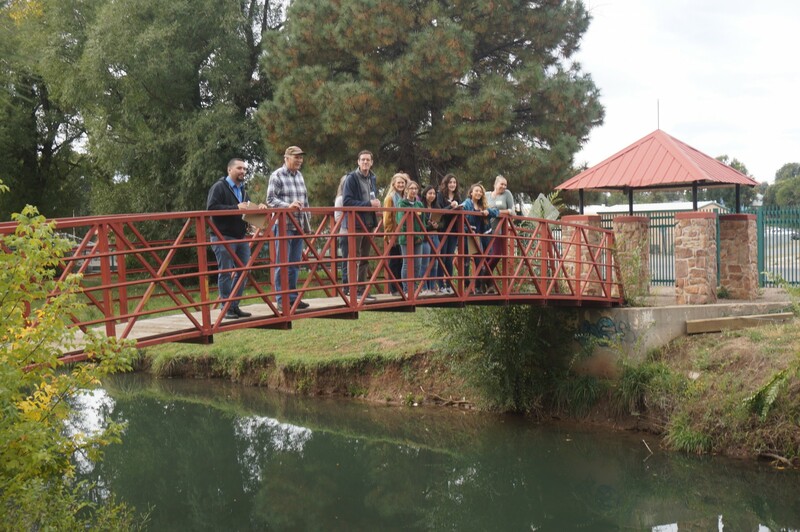 On November 1st, 2018, Watershed Artisans broke ground along the Gallinas River, kicking-off phase one of the river restoration work in Las Vegas, New Mexico. 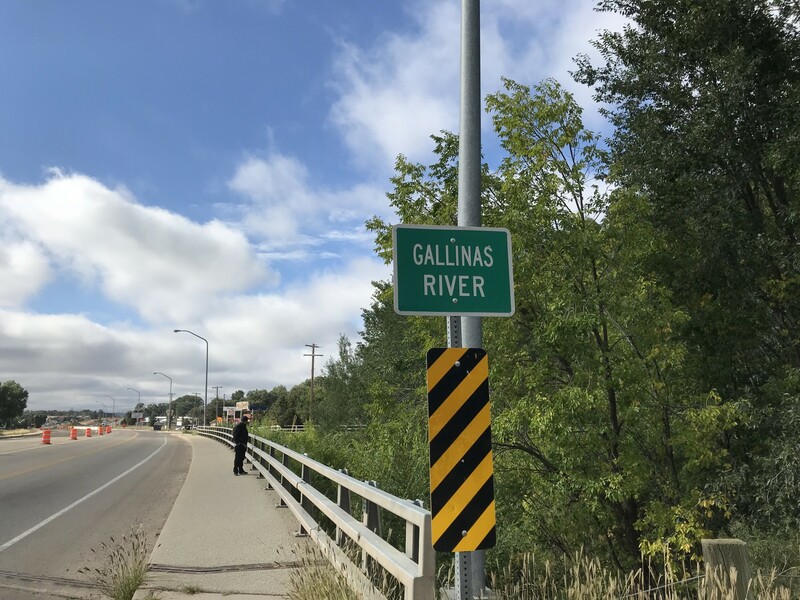 “Rewinding the Gallinas,” is a multi-stage, capital project administered by the HPWA, supported by grant funding from the New Mexico Environmental Department, River Stewardship Program. With a great deal of attention on the environmental dimension of the park, the HPWA sought the help of CIRD in order to support the social and physical design dimension of the project, while acknowledging that environmental health and community health are inextricably linked. CIRD Resource Team Members used the community’s input to establish a the concept for the future park design and actionable next steps to showcase the river as a place that celebrates the diversity of the Las Vegas community. The community’s vision quickly became clear — the Gallinas River Park will serve as a place that will nurture the relationship between the river and its people, now and for generations to come. A multi-generational group of community members stands in front of their Place IT! design for "Their Ideal River." Las Vegas, New Mexico is a town with a complex social history. In fact, the Southwestern region of the United States has a long and fraught history of native displacement and unlawful land acquisition. The control of Southwestern land was initially usurped from native peoples by the Spanish and subsequently parceled to the North American Indian populations through community land grants. After the Mexican American War (1846 – 1848), the land was claimed by Anglo-Americans who reconstituted the new land as the Territory of New Mexico. A change in sovereignty brought new borders, new populations, a new economy, and new technology – namely, the railroad. 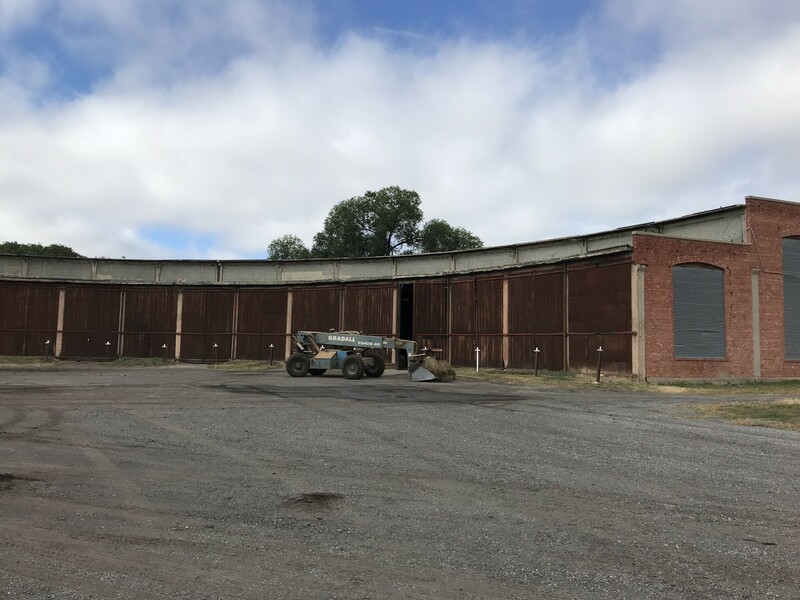 The Las Vegas roundhouse is a circular building once used by the railways for servicing and storing locomotives that remains controversial to this day. The arrival of the railroad at the turn of the twentieth century put Las Vegas, New Mexico on the map. And changes to both the physical and social landscape of the region quickly gained steam. 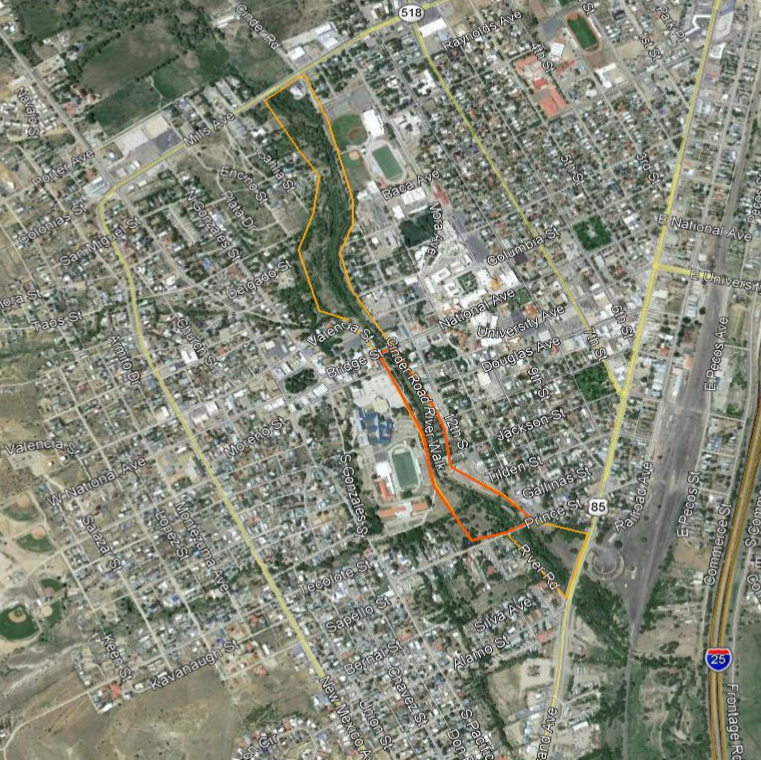 Physically, the construction of the railroad demanded space, which led to a rerouting of the Gallinas River, so that the train tracks could be more efficiently laid out along the riverbank. Once the communal New Mexican land, allocated in the trust from the Mexican government, was expropriated by the US Government and the river was straightened, the Las Vegas railroad connection became the main rail hub for facilitating transcontinental trade across the region. Finally, the demand and production of goods could be met and the local population bloomed, making Las Vegas the largest city in the state of New Mexico at the time. In the arid Southwest, where access to land and water have meant life or death for the people of the region regardless of their ancestry, the economic boons were not shared equitably by all members of the population. The railroad brought jobs and opportunity to the Anglo citizens of Las Vegas, while marginalizing their Hispanic neighbors and syphoning off their access to resources, property, and life-ways. Ironically, wherein the railroad connected the east and west sides of the country, it exacerbated the local economic and cultural divisions between the Anglo and Hispanic populations on the East and the West sides of the town. But when the nation shifted away from a rail-based economy, Las Vegans of all walks of life were left with a polluted river, dwindling population, limited economic opportunities, and with at least a third of the population living below the national poverty line. At one time, the river was a unifying place of play, recreation, and livelihood for the town’s citizens. However, after the departure of the railroad, the river became a stark symbol of division as opposed to unity, failure as opposed to success. For too long, the river has functioned as a de facto dividing line within the Las Vegas community. One of the residents speaking during the CIRD workshop recalled the significance of marching across the bridge to the East side of town during her time as a majorette at the West Las Vegas High School, stating, “they were two different towns then.” Keenly aware of the cultural and historical significance of the waterway to the community, HPWA identified river restoration as an opportunity to address the physical divide, as well as improving both social and environmental health. 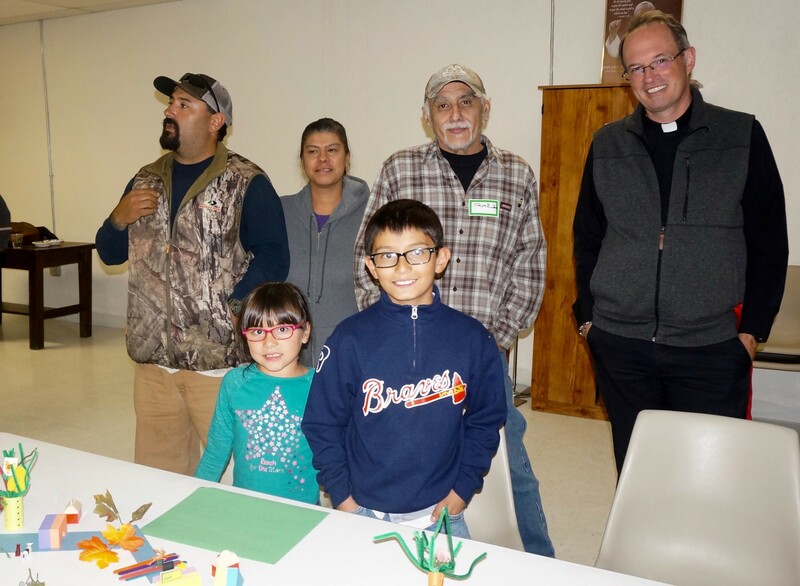 In early October, the CIRD team joined local residents and the HPWA in Las Vegas for a three day CIRD workshop, which aimed to recast the Gallinas River as a unifying place in which the river is recognized as invaluable to the city, its history, its people, and its future. Over the course of the workshop, participants engaged in creative visioning sessions, site tours, and collaborative drafting and design sessions; heard from local experts on a comprehensive range of subjects (local entrepreneurship, health and wellness, native botany to name a few); and were guided through the tenants of placemaking, developed actionable next steps and a conceptual design plan for the river park based upon community input assisted by the CIRD Resource Team Members, Elise Cormier Jon Ford Amy Bell James Rojas and Laura Torchio. The transformational outcomes of the workshop were achieved by taking participants on a journey from memory, to ideas, to action. On opening night, lead Resource Team Member (RTM), Elise Cormier, set the intention for the workshop. Speaking directly to the participants, Cormier introduced the CIRD Resource Team as, first and foremost, a team of “professional listeners,” whose primary job was to, “help translate [the community’s] ideas and get them on paper.” After Cormier’s words, participants launched into James Rojas’ Place It! exercises, which set the tone as one of full community participation, openness, and positivity – a tone worthy of the intentions set forth by Cormier. In the first Place It! exercise, “Build Your Favorite Childhood Memory,” every attendee, regardless of their individual background, situated their favorite childhood memory in nature. For Rojas and his many years of creative placemaking engagement, this was a first. This unifier proved to be the perfect galvanizing force for a project focused on environmental and community health, particularly within a population for whom divisions and differences run so deep. The second Place It! exercise, “Build Your Ideal Park,” seamlessly transported participants from memories to ideas. 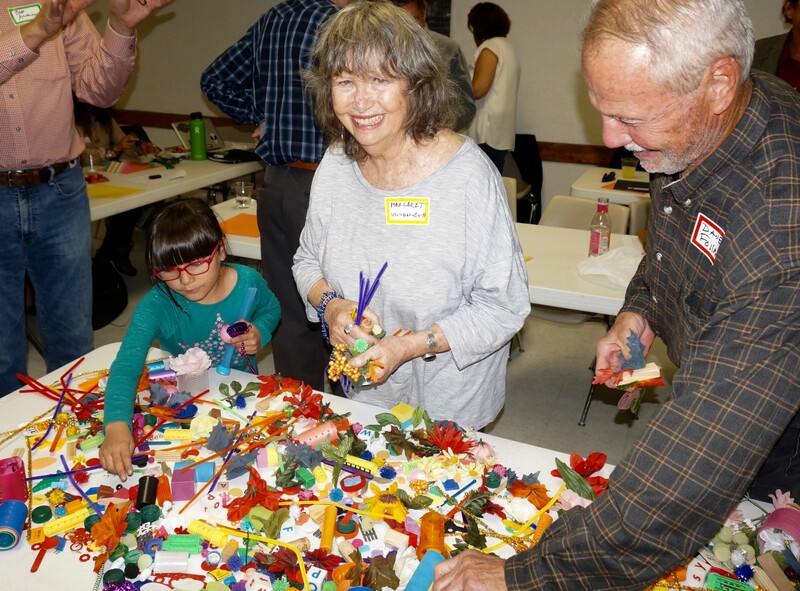 By building off of the playfulness, sentimentality, and communality of the first exercise, participants openly shared their most idealistic and imaginative visions for the future Gallinas River Park. The themes and ideas that surfaced from the Place It! Games included incorporating opportunities for all generation to recreate, learn, and enjoy the river; improving connectivity and river access; as well as reintroducing native species and maintaining the environmental quality of the river. These visions were listened to closely, recorded diligently, and served as the foundation and launch-pad for the preliminary conceptual park plan, the final version of which will be completed before the end of the year. Processual design plans representing examples of the multi-phase process used to integrate community feedback into what will become the final design plan. The second day of the workshop continued the generation of ideas and worked to ground the conceptual design plans in reality through site-tours along the riverfront, feedback sessions, and an introduction to the basics of placemaking using visioning and connectivity exercises. Later that day, at the Happy Hour Symposium, ten locals shared their unique expertise and perspectives, as they related to the goals and vision of the river restoration project. The Symposium served to illuminate the knowledge of local experts, clarify the history of the Anglo and Hispanic tensions, and surfaced the passion and love local Las Vegans have for the land they call home. In particular, the Las Vegas residents taught the Resource Team the significance of the Spanish term ‘Querencia' – a metaphysical concept describing, a sense of purpose, self-hood, and safety in place – and the importance of the acequia madre, literally, “mother ditch” – an inglorious title for the irrigation ditch that is largely responsible for the past and present vitality of Las Vegas. The understanding of these concepts became elemental in Cormier and Jon Ford, the design team for the park plan, accurately capturing the character and context of the community in the design plan. RTM, Amy Bell, stops to notate community feedback along the site tour on Friday morning. On the final day of the workshop, while the design team worked to synthesize three days worth of community ideas and feedback into a single conceptual design plan, the workshop participants worked with the remaining resource team members to brainstorm and prioritize actionable next steps in the design process. Resource Team Member Laura Torchio introduced Las Vegas to Project for Public Spaces’ LQC (Lighter, Quicker, Cheaper) approach to implementation strategies for future river park projects. Using the LQC approach, the participants drafted a Place Activation Table, with Laura Torchio and Amy Bell, in which the ideas they produced for future park activities and amenities were matched with a comprehensive list of potential implementation partners at the local, state, and federal level, followed by an estimated cost and implementation time frame. 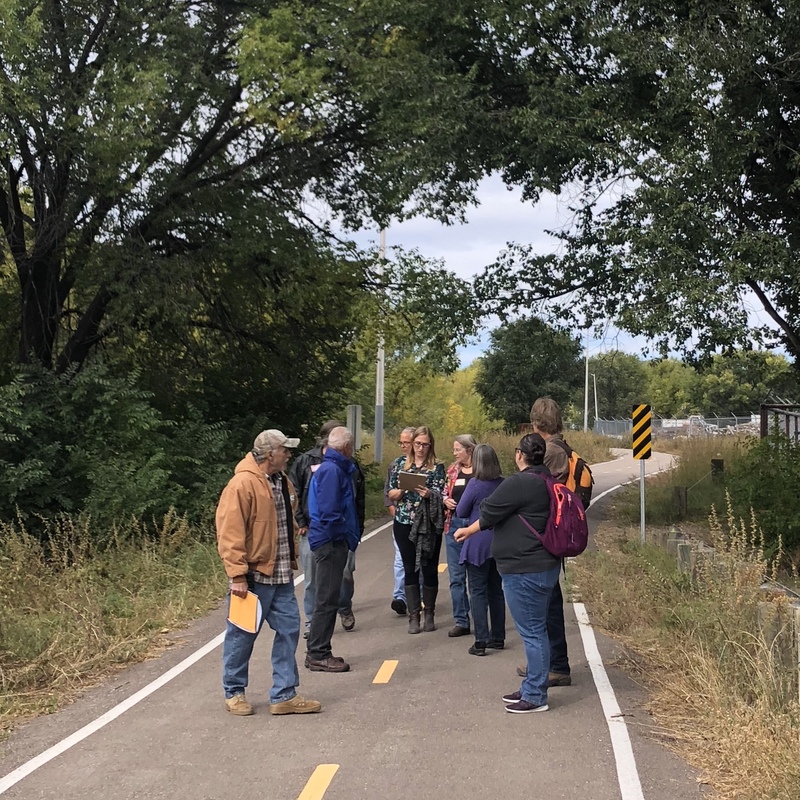 The outcomes of this exercise took hold in real time and plans were made for art installations along the river, the use of which removed invasive species, along with a story walk for children, and the creation of a hay bale amphitheater. 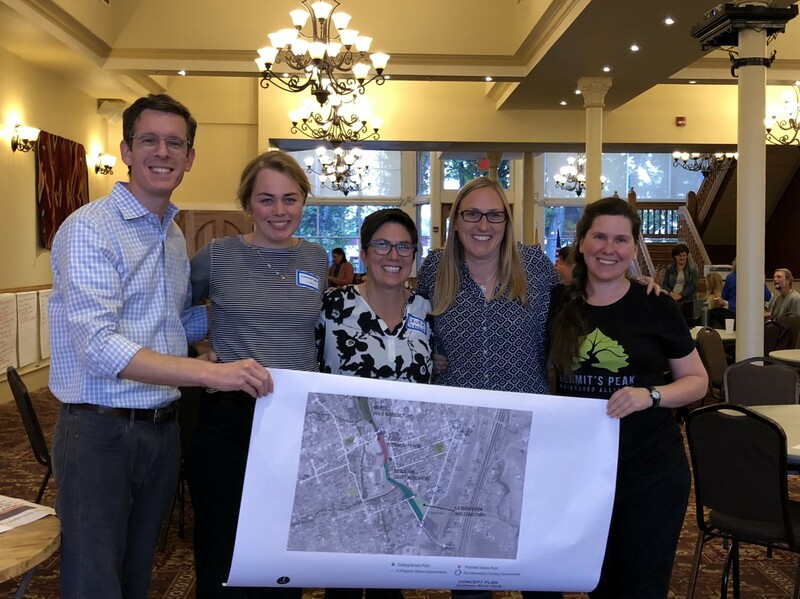 In the near term, the momentum generated by the workshop brought political support for the river restoration and park plan at the local and state level. New Mexico State Senator, Pete Campos, offered to submit legislation to the NM State Legislature for $100,000 toward the Gallinas River Park Revitalization. The City of Las Vegas Mayor, Tonita Gurule-Giron, made a general commitment to contribute funds to the project. And, the US Fish and Wildlife Service, Las Vegas National Wildlife Refuge offered to pursue taking on responsibility for future restoration work along the river. Las Vegas community members, which included a group of local high school students, convene to provide observations on their Friday morning site-tour led by RTM, Jon Ford. Active listening to the community on the part of all those involved was essential to the success of the Las Vegas workshop. Listening, sharing, and convening empowered local voices to tell their stories, and allowed them go beyond the realm of abstract ideas, and dive right into a set of actionable next steps. The outcome of this process was a thoughtful and inclusive planning process for the future park design and a sense of responsibility to see the project though. While this community-based approach demands time, effort, and empathy, the HPWA and Las Vegas community all agreed that engaging in this type of democratic community-based planning is integral to engendering support and longevity for great placemaking efforts. This article is a cross-post from the CIRD website.